Back in the early 1990’s, there weren’t many women playing hockey. Hockey was seen as a “boys only” sport. If girls wanted to play hockey they had to play with the boys as there were very few women’s hockey leagues at that point. In 1991, the first Women’s Hockey World Championship took place. Women’s hockey grew tenfold. The number of females enrolled in hockey across Canada went from 8,000 in 1991 to 85,000 in 2010. Finally in 1998, women’s hockey was added to the Olympics. Ever since, Canada and the United States have most frequently been the countries to battle for gold and silver. However, non-North American nations have been rising and becoming top competitors against Canada and USA. Once women’s hockey was added to the Olympics, it became one of the fastest growing sports and has continued to be into the 2000's. Women’s hockey leagues began to pop up all over Canada including a professional women’s league in 2007. The Canadian Women’s Hockey League (CWHL) was the first professional women’s league in North America. By 2015, another professional women’s league came about, the National Women’s Hockey League (NWHL). The NWHL was the first league in North America to pay their players. Shortly after the CWHL followed suit and began paying their players. Although the pay from these leagues is minimal, it is a start for paying female hockey players. Efforts are currently in place to grow these leagues and eventually merge the two into one ultimate professional league. 20 years ago it was very common for girls to be playing on boys hockey teams. Nearly every Olympian to this day has at some point played on a boy’s hockey team. Now, there are female leagues all over the country making it unnecessary for girls to have to play with the boys. 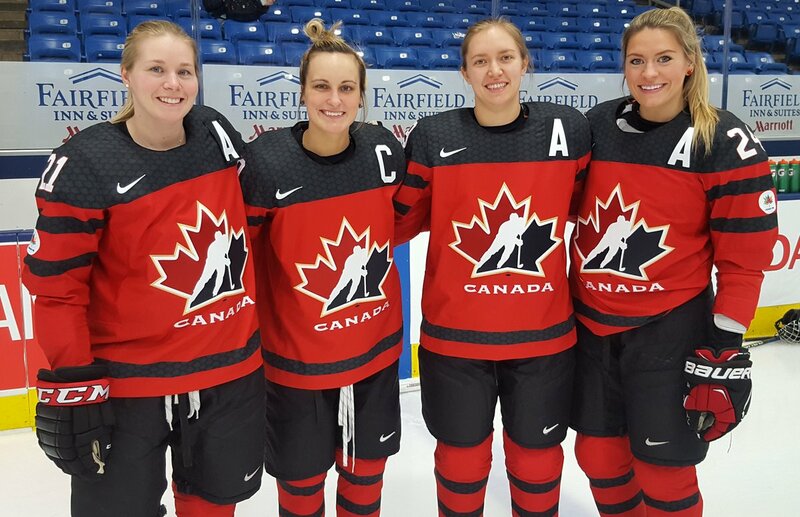 Opportunities are growing for women’s hockey starting in fundamentals all the way to the professional level. It is an exciting time for women’s hockey.